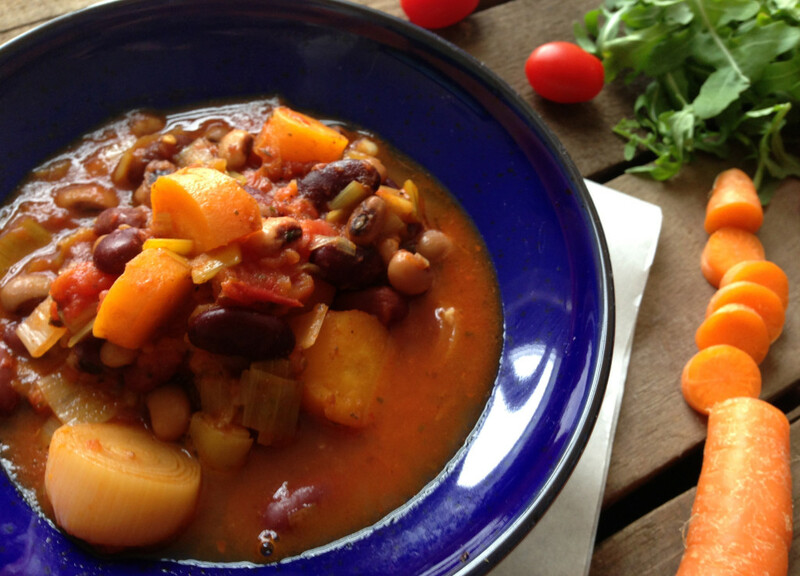 The spicy bean stew is warm and hearty, as well as being very healthy and protein packed. You can have the stew a spicy as you like, just add a little more fresh chilli or chilli powder, depending on your preference. This recipe is very easy to follow and can be left simmering for good half an hour, if you have a million other things to do. Perfect for easy, great tasting food with friends. Heat a large saucepan on a medium heat and pour in the olive oil. Then add in the leek and cook for 8 minutes, until the leeks begin to soften. Then add in the carrots and cook for another 4 minutes. Pour in the white wine, add the garlic and fresh chilli and cook for a further 2 minutes. Then add the chopped tomatoes, stock and lemon juice. Bring the stew up to a boil, stirring regularly, then simmer for 30-35 minutes, allowing the stew to thicken. 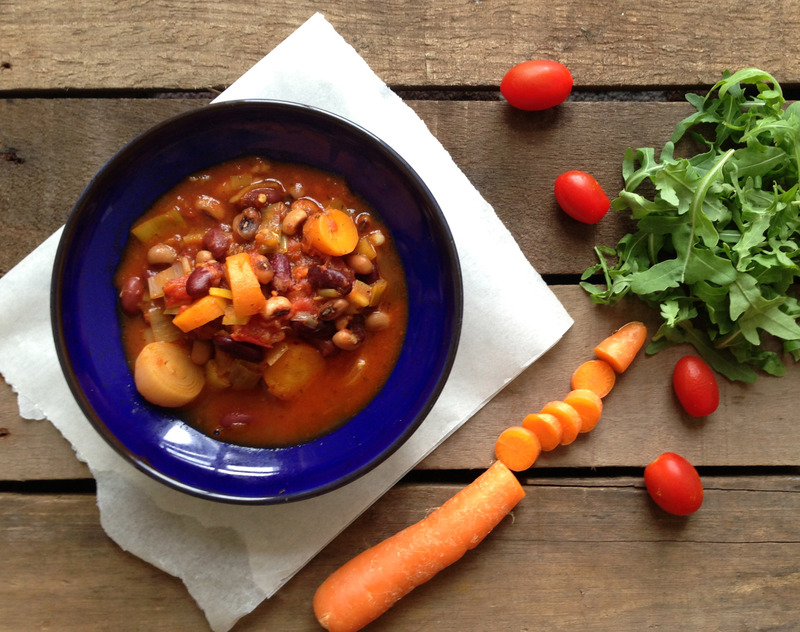 Drain the kidney beans and black eye beans and pour them into the stew. At this stage, season to taste using salt and pepper, and add in some chilli powder if you wish to increase the heat. Simmer for 5 more minutes, then serve hot. Love the recipe, what vegetable stock do you recommend using?